Hi, friends! 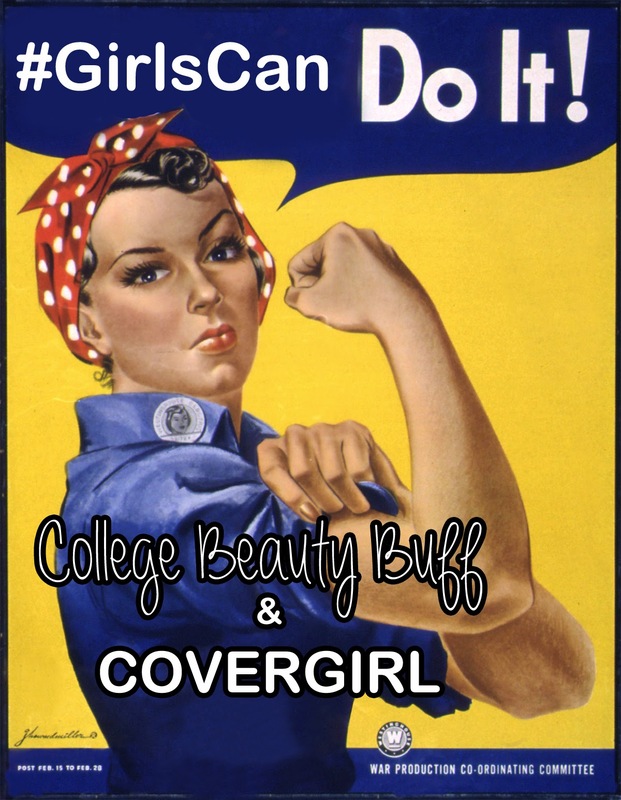 Today I have partnered with CoverGirl to talk to you about something near and dear to my heart. This month, CoverGirl is donating $50,000 to Dress for Success, which for those of you who don't know, is an international not-for-profit organization that helps women who have been struggling get back on their feet. They do this by providing women with a professional wardrobe that can help them get back into the workforce, as well as teaching them the skills they need to find jobs and support themselves. Since their founding in 1997, they have helped more than 775,000 women around the world. They're truly amazing. Check out Dress for Success' website to learn more. To help spread the word about this organization, CoverGirl has launched their #GirlsCan campaign, to tell women like you and me that we can do anything we put ours minds to. It sounds corny, but it couldn't be more true. Take it from someone who knows! I want you to feel empowered and beautiful, no matter what you're doing. In addition, to help raise awareness, CoverGirl has also changed the packaging on some of their products (the Flamed Out Mascara and the Professional All-In-One Mascara). Visit Girls Can Give Back to learn more. If you like videos with sound rather than tons of text, here's the video for the campagin. Queen Latifah, Pink, Sofia Vergara, and Ellen DeGeneres are in it, but even if they weren't, this would still be an inspiring clip. I don't know about you, but I never feel as powerful as I do when I'm rocking a red lip. Something about the boldness of it causes my confidence level to increase tenfold. It makes me feel like I can do anything. 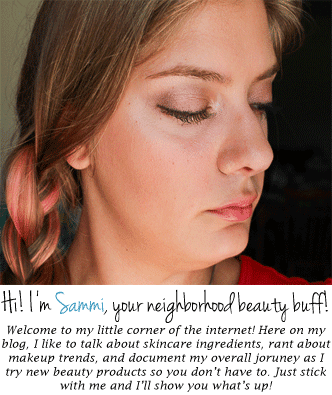 So, I've created a Face of the Day (FOTD) look for you using CoverGirl products that makes me feel like a bombshell. CoverGirl is the brand of my all-time favorite mascara, LashBlast Volume, and I don't do enough one-brand makeup looks on this blog, so I hope you enjoy this look! I'm channeling Rosie the Riveter for this power pose! Since I wanted to share the love with all of you, CoverGirl is allowing me to give away a $25 Walmart gift card so you can purchase your own #GirlsCan mascara and other CoverGirl products! Click here to enter via Rafflecopter - *This may not work in Google Chrome and/or be hidden by your AdBlock, so disable it or switch browsers to enter. Giveaway Rules - Please read! * The winner will be chosen completely by random. The more options you complete in Rafflecopter, the higher your chances of winning. * The giveaway will end December 3, 2014. * The winner will be contacted via the email they used to enter. If you are chosen and do not answer the email within 48 hours, I will choose another winner. Sorry, that's how it goes, folks! Disclaimer: The Walmart gift cards, products, and information were provided by COVERGIRL. All opinions are 100% my own. Original Rosie the Riveter image (before I edited it): DonkeyHotey via photopin cc. Shoutout to my brother Steve for being my photographer!